After Orrin Brower is arrested for killing his brother, he is placed in jail awaiting trial. At one point, he overpowers his guard and flees again into the night. He believes he escapes when he enters a clearing in the woods to find a man with a gun waiting for him. Without a word, the "embodiment of Law," directs him back to the jail. Orrin has trouble getting a clear view of this man but eventually, determines it to be Burton Duff. Only once he is back in the prison, do we find out that next to the jail is a table with a dead body on it, the body of Burton Duff, the guard that Orrin had overpowered to escape. Nothing particularly grand about this story except for the phrase "embodiment of Law". It's a fun phrase within the story since it refers to so many things. Duff is the embodiment of man laws: death, justice, legal law. 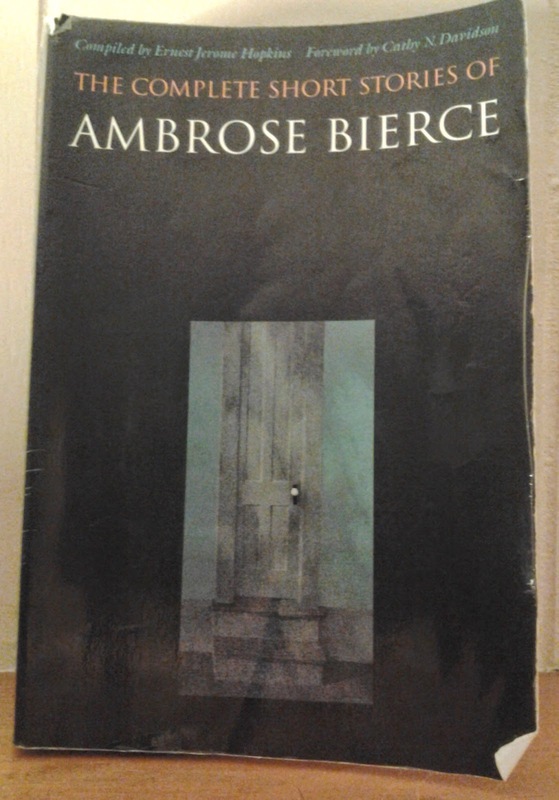 That Bierce was able to pull these together into this supernatural body is rather impressive for such a short work.